New Zealand Dance Week (NZDW) returns in 2019 from 27 April – 5 May with a growing programme of dance activity taking place around the country. 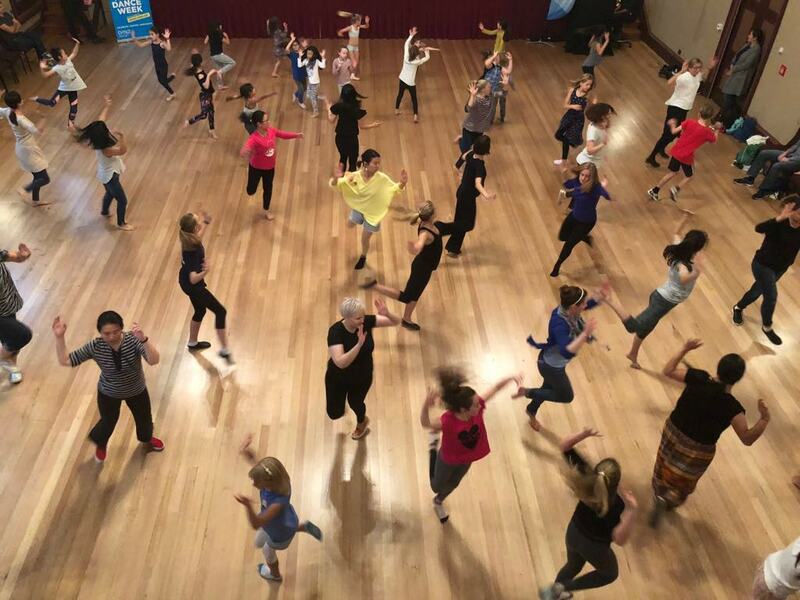 NZDW was established by Dance Aotearoa New Zealand (DANZ) in 2016 as a way to celebrate local dance talents and to get our communities moving and engaged in the diverse world of dance. It is an open-access platform aimed at raising awareness of the art-form, growing dance literacy and dance audiences, and highlighting the positive benefits dance has on community, physical health, mental well-being and the spirit. This year DANZ is thrilled to be launching NZDW in Palmerston North on Saturday 27 April, marking a number of ‘firsts’. This will be the first time the event has been launched outside the main centres. And for the first time, NZ Dance Week will overlap with NZ Music Month which commences 1 May. This will provide many opportunities for the special synergy between dance and music to be celebrated. Hosted at Te Manawa and the Globe Theatre, the launch day will include a line-up of dance performances and “have-a-go” workshops led by local dance groups, films, networking opportunities, and a keynote address by renowned dancer Rodney Bell (Movement of Human, Touch Compass, Axis Dance Company). Bell will also give a special performance alongside live musician Tom Scrase (Strike Percussion). People from all backgrounds can be a part of NZDW and there is a multitude of ways to be involved. From hosting dance workshops, curating pop-up performances, dance flash mobs, studio open days, to attending a performance or workshop, to simply using #nzdw2019 in any social media activity. The smallest things are vital in helping to grow dance in New Zealand. Other confirmed events throughout the country include a programme of free open dance tasters in Wellington (27 April), Whangarei (4 May) Christchurch (5 May) and Dunedin (5 May); a contemporary performance of Giselle at the Auckland Art Gallery choreographed by Mary-Jane O’Reilly (27 April); and, in a first-time partnership between DANZ and Shakespeare Globe NZ (SGCNZ), a Shakespeare inspired dance showcase at Wellington’s Hannah Playhouse (29 April). This programme among the many other diverse events will add to the current explosion of dance in our society, further increasing visibility and wider community access to the art form of dance. Original generation time 1.3527 seconds. Cache Loaded in: 0.0750 seconds.